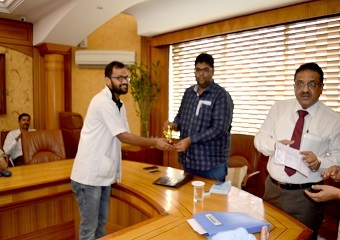 Indian Council of Medical Research, New Delhi has awarded certificates to the UG students who have successfully completed their STS Projects during the year 2017. 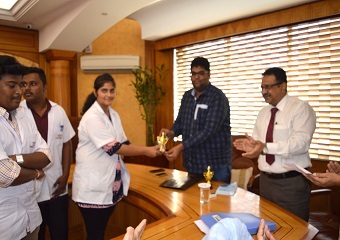 A poster competition was organized on 1st Sept 2018 - Students from Dr. D. Y. Patil Medical College, Nursing College and Optometry College participated. Total 40 posters were displayed. Patients took great interest in reading these poster and their questions were answered by faculty and PG students of Ophthalmology Department. 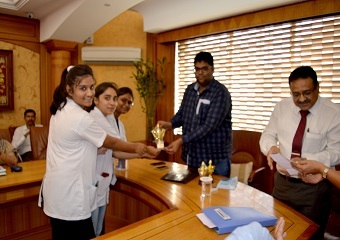 Dr. Amitav Banerji and Dr. Daksha Nirhale had kindly consented to be judges for the same. 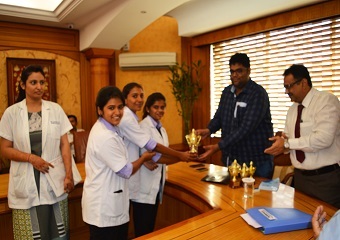 1st, 2nd and 3rd prizes winner awarded and certificates given to all participants. Following 2nd year Residents participated in the award paper session held at Aesthetica Asia in September 2018:3rd International Conference on aesthetics. They have been awarded the 1st and 2nd places for the following papers. 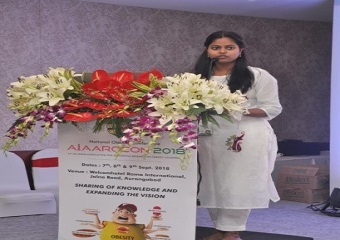 Following Faculty and PG Resident of Dept.of Pediatrics had Participated in 13th National Obesity Conference, AIAARACON 2018 organised by All India Association of Advancing Research in Obesity on 7th -9th Sept.2018 in Welcomhotel Rama International, Aurangabad. 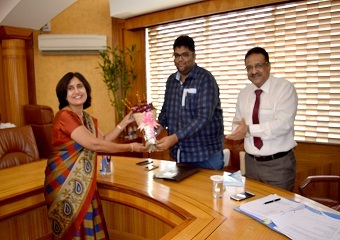 Dr. Shailaja Mane, Prof. Dept. of Pediatrics delivered a talk on “Where We Stand: Paediatric Obesity Prevention” on 8th Sept. 2018 which was very well appreciated by all. 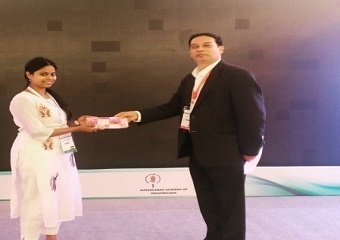 Dr. Sahiti Reddy, a Postgraduate student in Pediatrics had received 3rd Prize for an oral paper presentation in the conference. 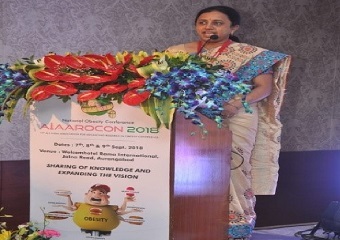 She had presented following paper on 9th Sept.2018. 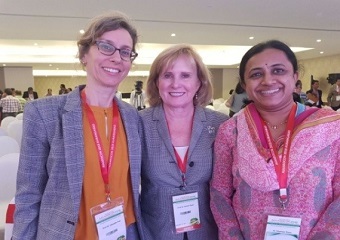 “Study of pattern of food habits & physical activity in school going adolescents of urban Pune in western India- A Pilot study” under the guidance of Dr. Shailaja Mane, Dr. Swati Bhave, Dr. S. R. Agarkhedkar. 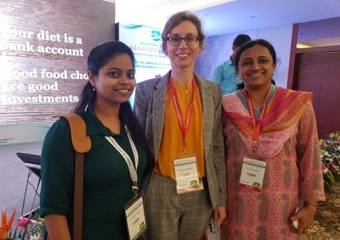 Dr. Shailaja Mane and Dr. Sahiti attended and taken active participation in a pre-conference workshop : Basic to Clinical Practice Workshop: Speciality Certification of Obesity Professional Education (SCOPE) on 7th September 2018. 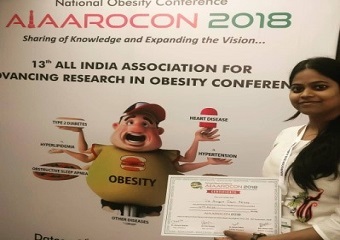 Dr. Sumedh Magar, 2nd Year P. G. Student, Department of Orthopaedics, Honoured with Late Padmashree Vikramsinha Award in recently concluded Annual Conference of MOACON 2017.